Melissa & Doug want you to tell them which of their educational toys you think is the best! Just click on the image below to place your vote in the North "Poll!" 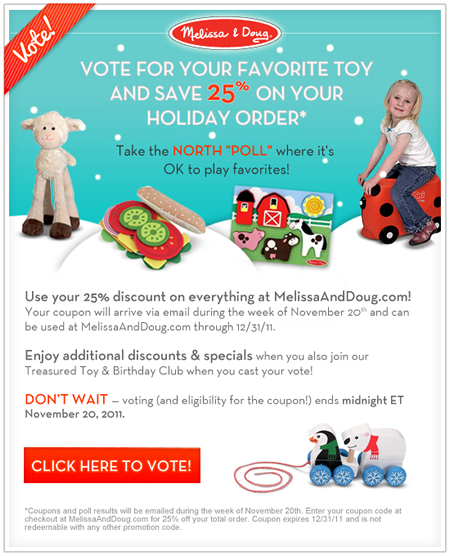 You'll Get a Melissa & Doug 25% Off Coupon** to use at MelissaAndDoug.com just for voting!